Outsource2india works with you to convert your designs to 3D models for easy printing and prototyping purposes. We help you turn your digital ideas or designs into reality with our ready-to-be-printed 3D models in a wide range of globally accepted formats. Be it a gadget, jewelry, accessories, mechanical parts, furniture, vehicles, etc., our enthusiastic 3D drafters and modelers provide you with eye-catching, accurate, and detailed designs. Outsource2india is a pioneer in 3D printing and architectural services with a growing list of clients including Fortune 1000 companies. We work as an extension of your in-house team helping you experience high-quality services without any investment in technology or manpower. Our competitive pricing models, global delivery framework, and client-centric approach makes us one of the chosen engineering support services provider with a track record of successful projects under our name. Over the last two decades, we at Outsource2india, have been providing top-notch 3D printing CAD file creation services for individuals, startups, and established companies. Our 3D printing services are high on quality, low on cost, and delivered ahead of your deadline. Right from the start to the finish, we provide you with back-end support for your 3D printing projects. We can help you minimize operating costs and complete your project within the predetermined deadline. As a real estate developer, you would often find yourself investing a lot of money and time on multiple development scenarios. By partnering with us, you can complete your real estate project on time and avail high-quality 3D files for printing. Through our 3D printing architecture services, you can visualize almost any creative idea for your architecture models in a snap. All you have to do is send in your STL files and leave the 3D printing architectural modeling to us. If you are a designer, you no longer have to worry about handling 3D printing. While you focus on your designs or models, we will complete your 3D printing file creation process within a faster turnaround time. 3D printing services can help in streamlining your 3D furniture modeling designs. With easy-to-use 3D printable models, you can work with real prototype models, while getting rid of unnecessary trial and error paper drawings. Contact us to get a customized pricing plan for your 3D printing project. Outsource2india is a leading provider of 3D printing file creation services in India a plethora of other architectural engineering services to global clients. 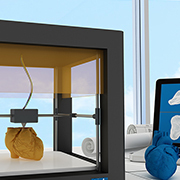 It's time you bring your ideas to life through 3D printing file creation. Get started with outsourcing, by simply sending us your 3D files for printing. Even if you do not have the 3D file, you can explain your ideas to our design team and we will expertly design your model and provide 3D prints for your prototype. If you are looking for a reliable, accurate, and cost-effective 3D printing file creation service provider, then you have come to the right place. Get in touch with us today!